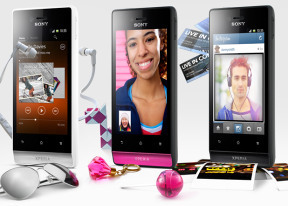 The Sony Xperia miro comes with a GPS receiver, which took about a minute to get satellite lock upon a cold start. You can use the A-GPS functionality to get near instantaneous locks. Alternatively, network positioning will do if you only need a rough idea of your location. The Sony Xperia miro runs ICS, so it has access to most of the latest apps, but the limited amount of app storage means you'll need to be careful with large apps or move a lot of the apps to a microSD card.